Transcultural Buddhism: The webcrawler in your mind. The purpose of this 'mindfulness' meditation is to obtain a glimpse of the formless nature of the mind as pure awareness, and in the process examine the compulsive web of interlinked thoughts that normally dominates our consciousness. 1. Find somewhere quiet and peaceful where you won't be disturbed. Silence your mobile, and if at home take the phone off the hook. 2. There's no need for a classical meditation posture, just sit upright in a chair. Try to keep your back reasonably straight. Avoid the two extremes of slouching and getting excessively rigid. 3. Observe your breathing. Don't try to control it, just observe the natural rhythm of inhaling and exhaling. 4. Once you've settled into this observational state, but before you've got bored, introduce a small amount of breath control - just pause for a second between the in and the out breaths. 5. Next try a simple silent mental recitation. On the in-breath mentally recite the syllable OM (you don't say it out loud). At the pause between the in-breath and out-breath silently recite the syllable AH (there is no need to prolong this pause any longer than it takes to mentally recite this syllable). On the out-breath mentally recite the syllable HUM. 6. Keep on breathing and silently reciting OM... AH... HUM... Don't force the breath. Breathe naturally apart from the slight pause long enough to mentally recite the AH between the in and out breaths. You can then extend this pause if it helps you to feel calmer, and you can do so without discomfort. You may like to imagine that you hold the AH sound at your heart during the pause. Concentrate on the syllables and don't let your mind wander. If the OM AH HUM method doesn't work for you, then try just breathing naturally and maintaining your awareness of the sensation of the breath in the nostrils as you breathe in and out. 7. After a while, the novelty will wear off and your mind will appear to become extremely busy, with all sorts of thoughts competing for your attention. Your mind will have much more immediate concerns than OM AH HUM or the sensation in the nostrils. - "Well here I am meditating, not much happening yet - the phone's off the hook - I wonder if anyone's trying to call - that reminds me, it's a week since I last phoned my mother - have I paid my phone bill? - I haven't checked my bank balance lately - I guess its bad because I haven't had a raise since my boss put me on a wage freeze - "due to the recession" he said' - really it's because I'm 48 and not likely to find another job - Why do I have to work for that creep? - Surely I could branch out on my own - I should have done it years ago - the whole company's gone down the toilet - Toilet, just remembered, I noticed a crack in the seat this morning - I hope it doesn't collapse while I'm sitting on it - more than likely since I'm putting on so much weight - comfort eating mostly - craving, isn't that what Buddhism's about - I hope this meditation helps with that - nothing much happening yet - did I remember to silence my mobile? - etc, etc..."
8. Welcome to your information-overloaded mind! Why does meditation make the mind busier? And you thought it was supposed to calm you down. Yes ultimately meditation does quieten and clarify the mind, but in the early stages all that happens is that your mind becomes aware of the incessant junk-thoughts circulating in your brain (the first inkling that the mind is more than just the mechanism of the brain.). There's no more going on in your head than usual, it's just that you've become aware of it. So is this incessant parade of trivialities all that there is to your mind? Who's controlling it - obviously not you! 9. Continue with the OM AH HUM for a little while longer, gently returning your mind to the silent recitation every time it wanders away. 10. Now cease the recitation and examine the constant stream of linked thoughts that your brain is presenting to your mind. But try to distance yourself from these thoughts. Observe them but with a certain amount of disinterest. Pretend you're observing someone else's stream of consciousness rather than stuff which is obviously aimed at you. Don't get involved in this thought stream. Rather than experience how one thought leads to another, examine what the links are and how each thought arises. You'll become aware of the web of trivialities in your mind. Each thought is like a webpage with hyperlinks which lead on to another thought, and so on round and round ad infinitum. 11. As you step back from your thoughts, you'll become aware of the webcrawler in your mind - the process that follows all these associations and presents them to your awareness. 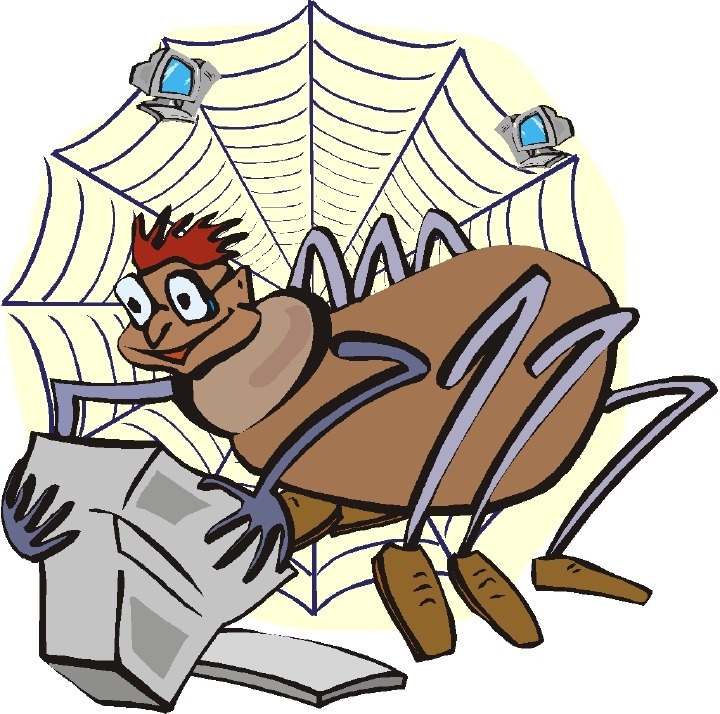 You don't (at present) control this webcrawler. It seems to be able to click the links in your thoughts without, or even in spite of, your attempting to exercise some control. 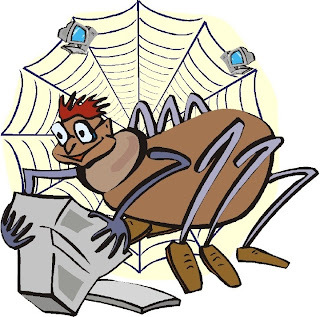 And you'll notice that the webcrawler has certain preferred types of links, those that lead to objects of anger, fear or desire. It doesn't pay too much attention to bland associations, and there's no family filter on what it dredges up. You have now begun to understand one of the compulsive systems of the mind. What you still need to experience is pure mind - the actual awareness which is viewing all the trivia which the webcrawler is displaying to it. 12. Slowly come out of meditation. It may help to mentally recite the OM AH HUM for a brief period. 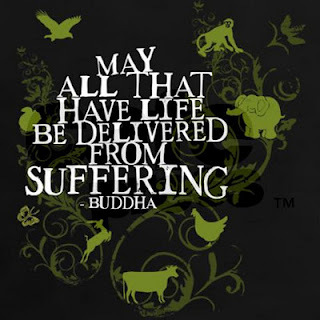 It is traditional and auspicious at the end of a meditation to silently dedicate any insight that we might have achieved to the happiness and freedom from suffering of all sentient beings.